This site is devoted to three of my primary interests. 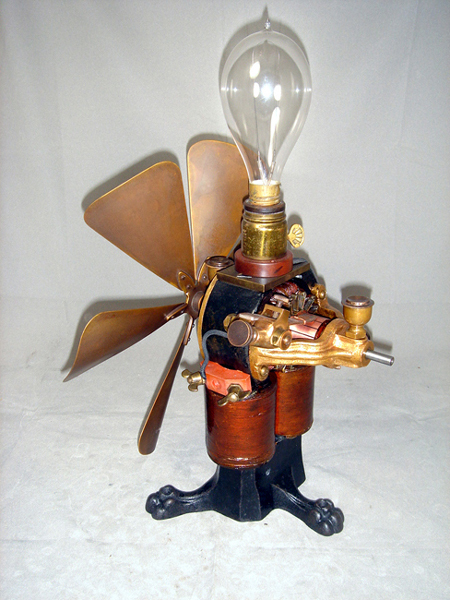 I hope you will share my fascination with arcane 19th century technology! Antique Phonographs have been an all-consuming passion of mine since I bought my first one as a 12 year-old child in 1961. Even after 58 years I still find these amazing pieces of early technology to be endlessly fascinating. 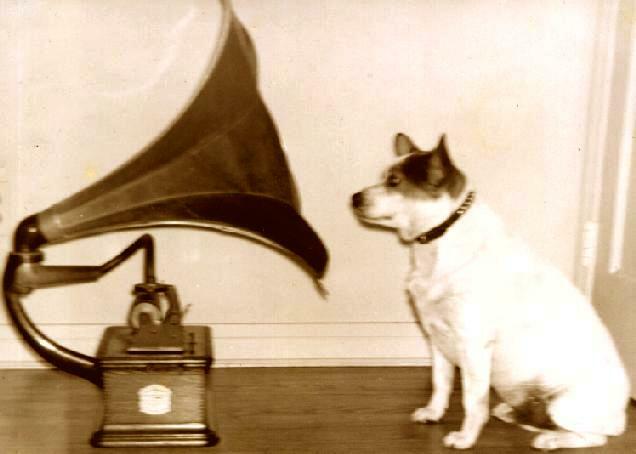 The picture above, taken in 1962, shows my dog 'Stubby' standing in for Nipper (with a Columbia BKT instead of a Berliner). One great truism about collecting is that we never really own these treasures, we are just temporary caretakers. Like many of my friends, I have decided it's time to downsize my collections a bit and let other collectors have the pleasure of enjoying some of these great machines. In 2017/2018 I have sold approximately one-third of my phonograph collection and over half of my fans. I still have more wonderful antiques than I have room for, however, and I have added several new acquisitions at the same time as selling others. Machines on these pages that are marked with an asterisk (*) are no longer in my collection, but I hope the descriptions and photographs of these machines will still be helpful for other collectors for historic reference. 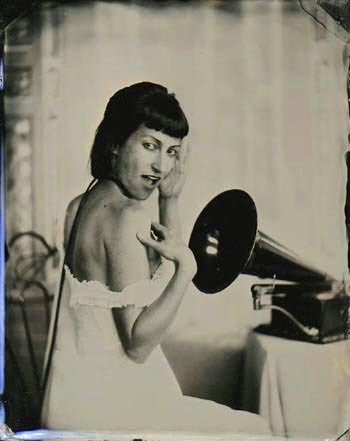 PLEASE CLICK HERE TO GO TO MY ANTIQUE PHONOGRAPH MUSEUM. 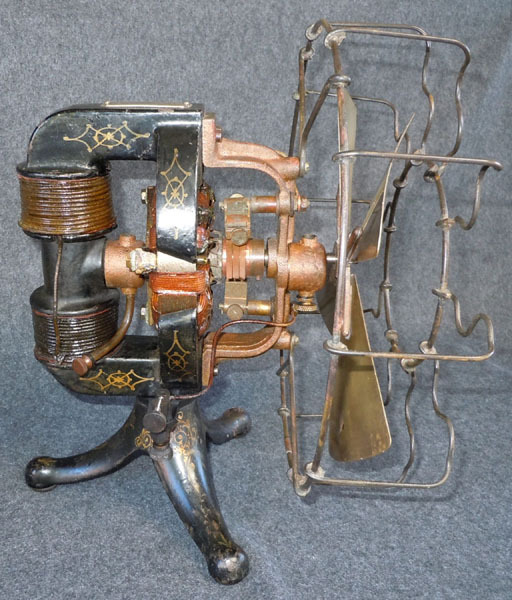 In addition to phonographs of the late 19th and early 20th century, I also enjoy electric fans of the same era, especially those sold by Thomas Edison. CLICK HERE TO GO TO A GALLERY OF MY SMALL COLLECTION OF RARE FANS. 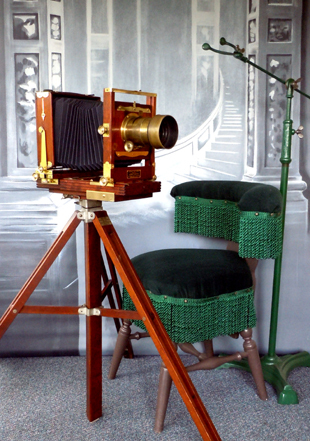 I am an avid practitioner of wet plate collodion photography as practiced from the 1850s to about 1880. PLEASE VISIT MY AMBROTYPE and TINTYPE GALLERY. A TRIBUTE TO DAVE HEITZ, "The Edison Connection"